Mention a luxury auto, and most people’s thoughts will turn to sleek lines, shiny finishes, and extreme performance that’s just as at home on the race track as the highway. 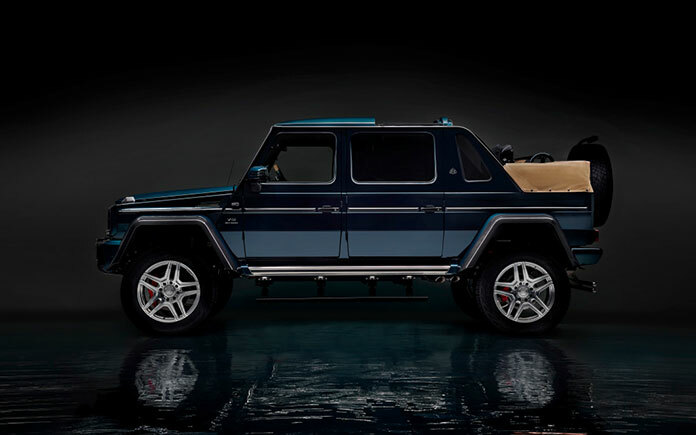 The new Mercedes-Maybach G 650 Landaulet defies this convention, bringing unprecedented luxury to an off-road vehicle which will nevertheless also turn heads on any more conventional journey. The Maybach marque has an illustrious history, dating back to Germany in 1909 as a heavy-duty engine manufacturer. The company was bought by Daimler in 1960 and repositioned as a luxury auto brand – a role it now plays within the Mercedes organisation. 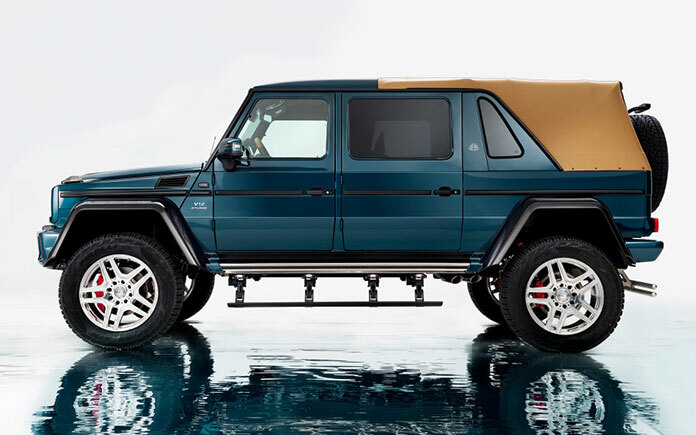 This latest Mercedes-Maybach incarnation is something of a return to the Maybach roots, combining modern-day luxury and technology with traditional rugged build and raw engine power, resulting in a unique style of all-terrain vehicle. 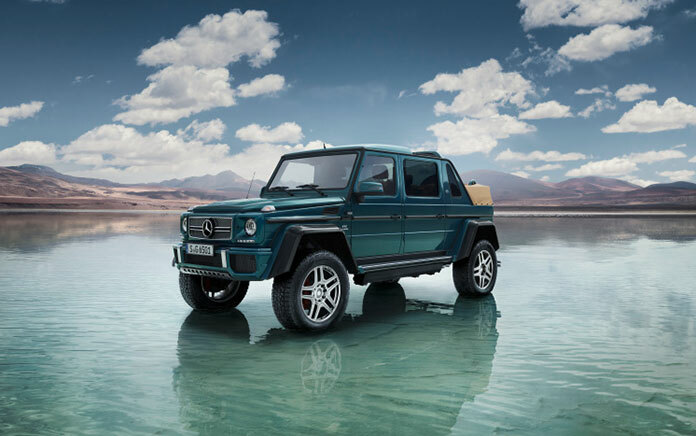 Based around the Mercedes-AMG V12 biturbo engine, the new model pushes 630 hp through an advanced 4×4 drive system, with portal axles providing an ample 17.7″ of clearance between the chassis and the ground – enough for the most demanding of conditions. 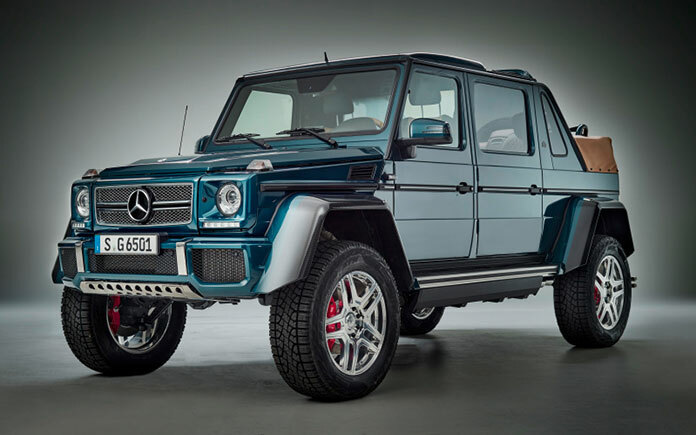 This impressive engine power can push the vehicle from 0-60mph in just six seconds, and although the nominal top speed is said to be 150mph, the vehicle is limited to 112mph for safety reasons – a speed which should still be more than enough for any off-road situation. However, this is far more than simply a truck with plenty of oomph. 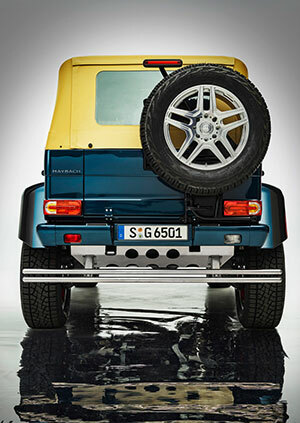 The ‘Landaulet’ in the name comes from the body design which is perhaps unique in a vehicle of this class. 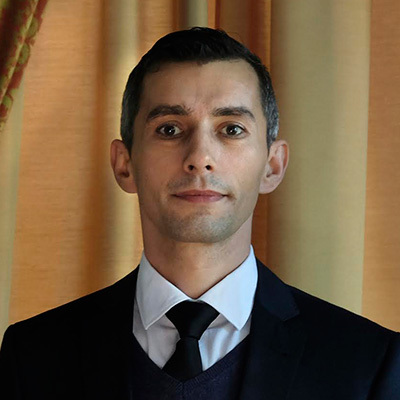 In standard road vehicles, a landaulet is a luxury vehicle somewhere between a saloon and a limousine, with a rear passenger compartment sitting under a separate convertible roof. 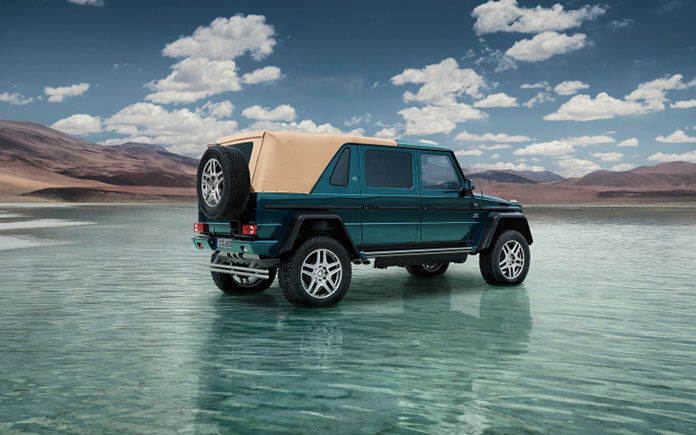 The G 650 takes this concept off-road: while the driver and front passenger sit in a closed cabin, the two rear passengers can fold back their fabric cover and enjoy the elements from their individual seats. Rear passenger privacy can be provided by a retractable glass partition, which can be also turned opaque on demand. For unbeatable comfort, the rear section offers extensive freedom of movement, with the active multi-contour seats providing adjustable calf rests, inflatable chambers for controllable support, a fully-reclined setting, and even an internal heated massage system for supreme relaxation however rocky the ride. The high-grade designo upholstery features diamond stitching, two-tone fabric, and a choice of four trim colors. Continuing the limousine-style experience, the center console between the seats is fitted with a pair of foldaway table tops, complete with leather inserts to steady a tablet or laptop. To the front is a cockpit-style panel containing the dual-screen, individual entertainment system, as well as an array of controls for roof operation, air conditioning, lighting, and more. Lastly, there are two cup holders with electronic temperature control, for hot or cold beverages as the weather demands. Exclusive Luxury – At a Price? The cost of all this power and comfort is yet to be revealed, although going by previous Mercedes-Maybach models, it’s expected to be substantial. 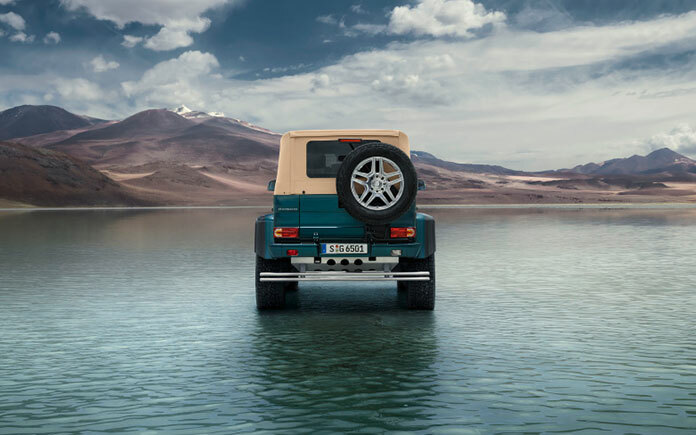 Combine the high price with a limited production run of just 99 vehicles, and it’s guaranteed that this unique off-roader will prove to be a pleasure for the exclusive few.